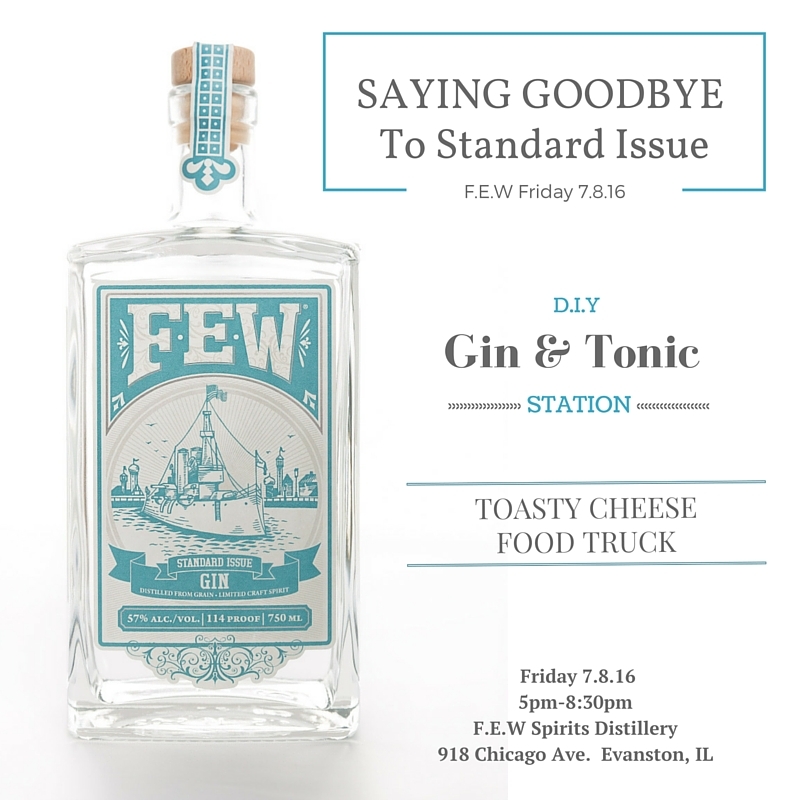 It’s August and another F.E.W Friday is in order. 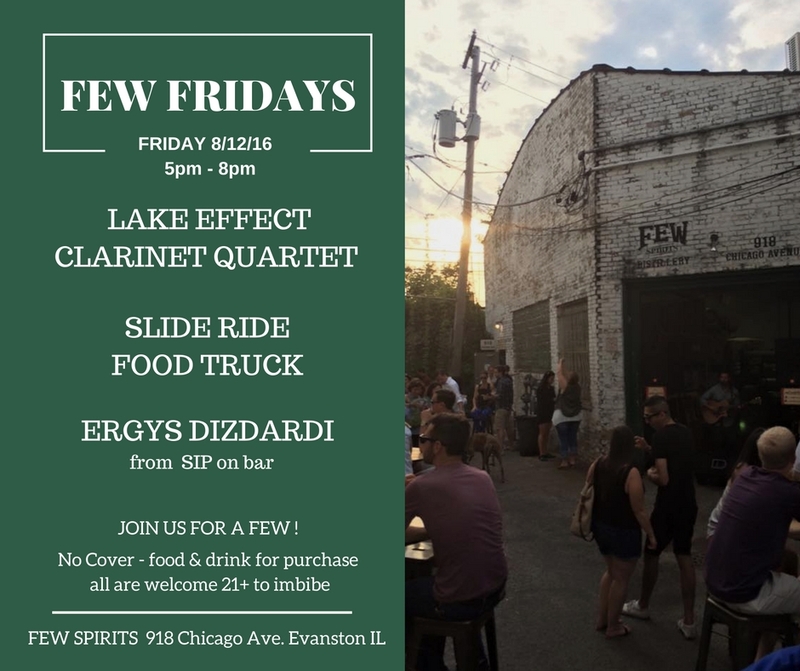 Join the F.E.W Family outside of the distillery in our allery-o along with musical talents of the Clarinet Quartet, tasty treats from Slide Ride Food Truck, and of course creative libations by Ergys Dizdardi from Southport and Irving, you won’t want to miss this. All are welcome, 21+ to imbibe. Please plan transportation responsibly, we’re located directly on the Metra and Purple Line trains at Main St. stations.